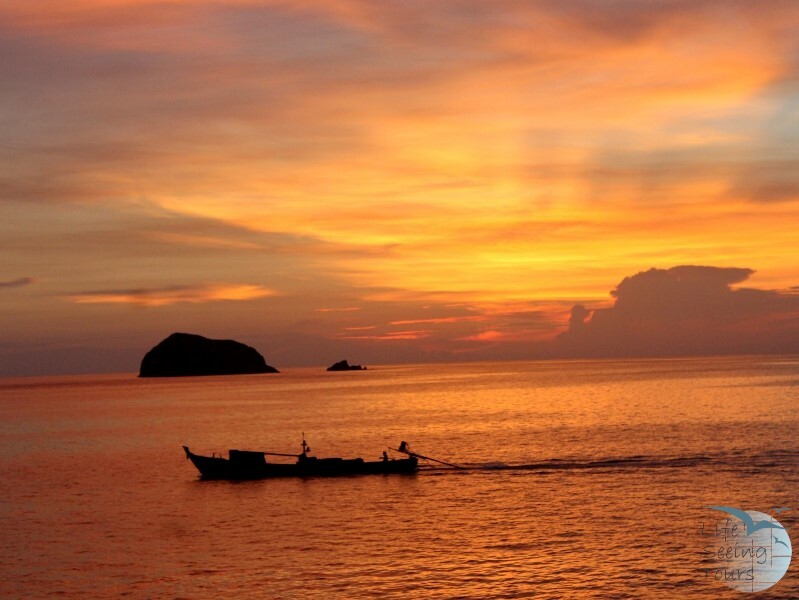 ... sunsets in the Mergui. Your guide will pick you up from your hotel in Kawthaung or Kawthaung airport and transfer you to Myo Ma Jetty to embark our boat. A pick up from Ranong (Thailand - Saphan Pier) is also possible. After Myanmar immigration clearance captain will start to drive heading to Taung La Bo Island where you can enjoy snorkeling and swimming by island for an hours. After that cruise captain will continue his cruising to 115 Islands group. While cruising you can do sun bathing on the sun deck on the board. We enjoy dinner and overnight on board around 115 Islands group. While you waking up to the sound of the ocean our chef will prepare delicious light breakfast for you. 115 Islands Group is famous for crystal water and worth to snorkel for colorful school of fishes as well as hard and soft corals. It is one of the finest islands to spend time on hiking and jungle trekking through the rain forest. You’ll find here are the very definition of pristine very white and powder sand beaches. It’s no wonder visitors come from all around to sink their toes into miles of pure white sand. If there were time permit, we will send you a new resort which is under construction on the islands. While having your lunch the boat will continue to Lampi Island. 254 Island, which is long with its white sand and semi-circle shape of the beach is one of the most popular among tourists. We go for swimming and then continue to 256 Island where we can do kayaking through mangroves. Enjoy dinner and overnight on board. After breakfast on board depart to 60 Island where enjoy swimming and snorkeling around Island. Then we go for kayaking and trekking to Crocodile creek. After making activities continue to Ko Phawt Island. Enjoy dinner and overnight on board by Ko Phawt..
After breakfast, we depart to Tar Yar Island for more snorkeling. We continue to Nga Mann Island, where you will have yet again a good snorkeling possibility. Here it is possible to see god hard and soft coral formations, various colorful fishes and sea urchin. Furthermore there is a dive through cave is with lots of different kinds of fish hanging around. 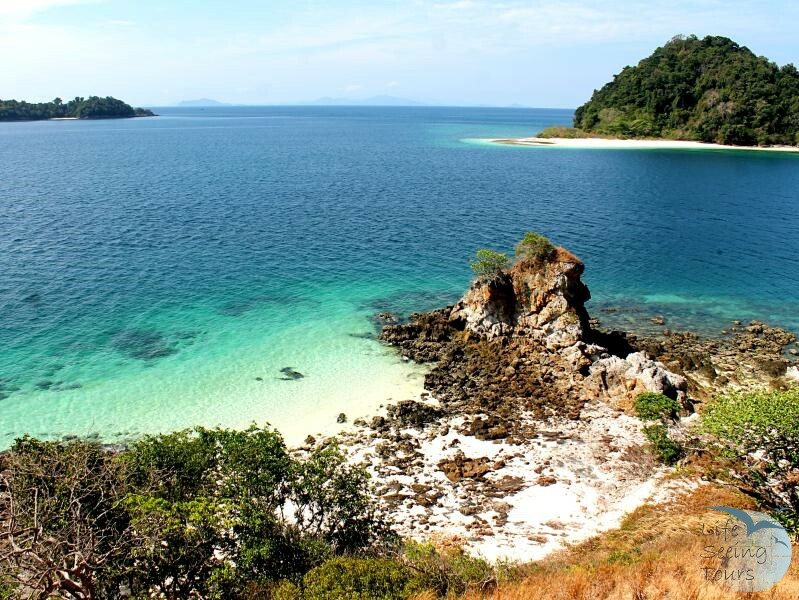 After activities your captain will cruise towards Kyun Phila (Great Swinton) which is perhaps the most popular and beautiful island in Mergui Archipelago. Enjoy dinner and overnight on board by Kyun Phila. After breakfast on board, we go for excursion to the village where can be observed the daily life of fisher men. After that we will embark on cruise and captain will depart heading to Myauk Ni (N.Phipps I) where you can enjoy snorkeling. After making activities, we will continue to Thay Yae Island. Enjoy dinner and overnight on board by Thay Yae Island. In the morning we go for snorkeling and then depart back to Kawthaung. Cheers for your exploration and complementary soft drinks before arriving back to Kawthaung. After disembarking from boat, Mergui Princess’s representative will send you airport or hotel by car in Kawthaung or Ranong Jetty by long tail boat.